"I just stepped off this red carpet ... and there was nothing," Dev Patel said. At 17, Dev Patel rose to international stardom for his role in the 2008 Oscar-winning film, "Slumdog Millionaire." But after stepping off the awards show red carpets and back into the real world, Patel was struggling to find work. "There’s been times after 'Slumdog [Millionaire],' where I looked out and there wasn’t a sea of roles," Patel said in an interview on ABC News’ "Popcorn with Peter Travers." "There wasn’t anything, and I wasn’t working," he said. "I just stepped off this red carpet, surrounded by all these amazing actors and Oscar winners and there was nothing." 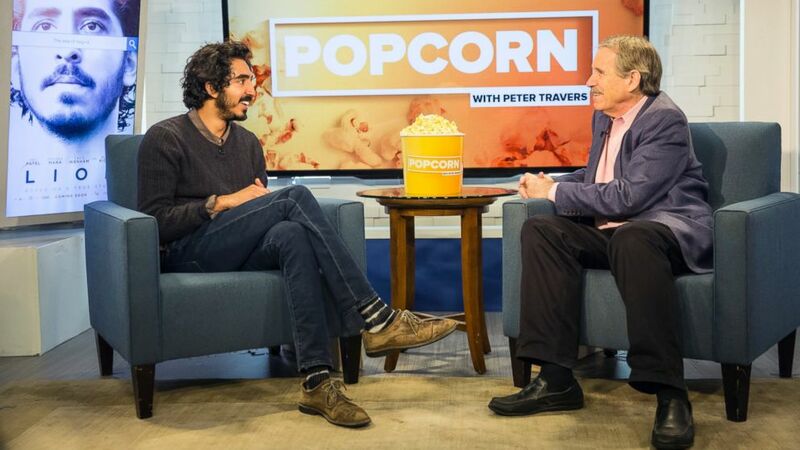 Watch the full interview with Dev Patel on ABC News' "Popcorn with Peter Travers" above. This year, Patel finds himself starring in "Lion," which he calls "the most nourishing thing I’ve been able to dive into." "Lion" is the true-life tale of Saroo Brierley, who was separated from his brother in India at the age of 7 while scavenging for food on a train. Brierley ended up in a completely different part of India from his family and was eventually adopted by an Australian family. The film follows Brierley, who is portrayed as an adult by Patel, as he used technology to track down his birth mother in India while growing up in Hobarth, Tasmania. Patel is already garnering Oscar buzz for his supporting role, for which he said he had to jump through hoops to get an audition. "For a British-Indian guy, roles like this are few and far in between, if not never. This really, when I read it, was such a profound script," Patel said. "I was just a puddle of tears. I just hoped one day those words could, you know, move past my lips." In an effort to commit to the role, Patel underwent intense preparation. He trained physically, grew out his hair and went through dialogue coaching to perfect an Australian accent. "I called up my manager and I was like, 'For the next eight months, I don’t want any distractions. I don’t want you to send me any other work or anything. I want to commit every fiber of my being to get this journey right. This script demands it. And Saroo and the family, they deserve it,'" said Patel. Patel even went to India to ride the trains back and forth. Trains are significant to Patel, because it’s on a train where, he said, his mother discovered an advertisement for the casting call that got him into acting. "She tore it out and didn’t tell me until the day before. And she’s like, 'Alright, by the way, we’re bunking school tomorrow. I want to take you to this thing.'" The audition was for the TV show "Skins." "We turned up and there [were] all these drama students doing their vocal warm ups. And I’m in my uniform with my mom," he recalled. "I was like, 'Ugh.' And that’s how I got into it." (Alex Scott/ABC News) Dev Patel talked about his movie "Lion" on an episode of ABC News' "Popcorn With Peter Travers." Patel said he feels that typecasting is a reality he and other actors constantly face. "You could be a beautiful woman and be stuck in that type," Patel said. "You know, certainly, the more diverse roles are happening now." "You see it changing," he said, "but sometimes you just want to work. You want to keep the lights on and pay the rent." Patel said he wants the roles he undertakes to influence change. "My motto has always been, 'Sometimes you have to take on the mold in order to break it,'" he said. "You have to, because when you’re in a character, you can inject something and slowly the barometer shifts, you know. And that’s what I’ve tried to do."